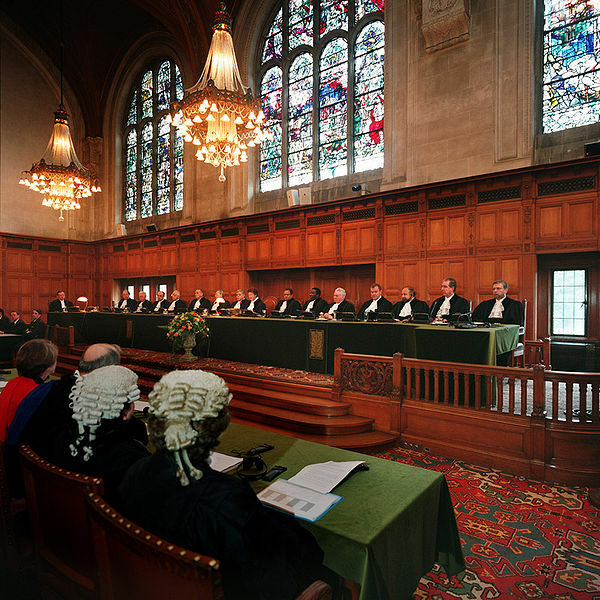 An ICJ public hearing. (c) 2011 Wikimedia Commons. LAST THURSDAY, after fifteen years on the run, Ratko Mladić was finally arrested on charges of genocide he allegedly committed during the 1995 Bosnian War. At an initial International Criminal Court (ICC) hearing at The Hague, Mladić brazenly told presiding judge Alphons Orie that the charges against him were ‘obnoxious’ and full of ‘monstrous words’. But Boudewijn Kok, a retired Dutch Army soldier who served with the United Nations peacekeeping force responsible for protecting some 50,000 Srebrenica residents from Serbian forces, still vividly remembers how Mladić’s forces brushed aside the ineffectual peacekeepers. The Serbian general, Kok recalled, was ‘the man I remember from Bosnia who ordered a massacre’. In the following hours, more than 8,000 men were rounded up on Mladić’s orders and summarily shot in Europe’s worst massacre since the Second World War. Mejra Djogaz, who lost two sons at Srebrenica, echoed the sentiments of thousands when she told reporters that, ‘He has killed all our loved ones. Only the mothers (of Srebrenica) could judge him. He should be given to the children who are left without their parent[s] for them to judge him’. The long struggle to bring Mladić and his comrades-in-arms, including Radovan Karadžić and the late Slobodan Milošević, to trial is indicative of the complicated nature of transitional justice. Political, human and physical geography all hold important cards in determining how international law will be applied. Even rudimentary questions, such as where to headquarter transnational legal organisations, including the ICC, the European Court of Human Rights and various UN bodies, can be contentious. 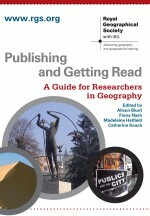 Dr Alex Jeffrey (Newcastle University) has authored a remarkably comprehensive examination of geography’s role in applying legal frameworks to the Bosnian War. In ‘The Political Geographies of Transitional Justice’, Dr Jeffrey suggests that geographers and legal specialists should investigate the importance of space, culture, local politics and priorities in both understanding and promoting contemporary international dispute resolution (p. 344). Referring back to the 2004 work of Dr Sallie Marston (University of Arizona), Dr Jeffrey points out that legal processes are often designed around preconceived social concepts, with little flexibility for diverse, ‘real-world’ scenarios (pp. 346—47). Even capturing Mladić, a figure with a history of human rights abuses and transgressions, was fraught with immense difficulty. The European Union had long demanded his arrest as a precondition for Serbian-EU membership talks. But this prerequisite proved complicated for a proud country deeply divided between reformers and nationalist zealots; many European officials believe that Belgrade deliberately delayed his handover for years. Jeffrey also analyses three vital tenets of geographical-transitional law: national security, humanitarianism and accountability (p. 349). In the isolation of academic law, these variables can be independently applied with little concern for external influences. In practice, however, international responses are highly dependent on contemporary bilateral relations, economic and social concerns. Experts have only recently scrutinised the physical organisation of crime scenes, actors and judicial centres in relation to one another. Historical Yugoslavian politics fostered a decentralised society wary of government interference. Jeffrey recalls the opinion of a Public Information and Outreach (PIOS) spokesperson that ‘there is a longer legacy of perceiving courts as removed from wider society in the former Yugoslavia’ (p. 351). The courts are understood as machinations of authority out of touch with local, daily life. Second, a traditional wariness of foreign intervention remains; NGOs increasingly shoulder responsibility for cultivating ICC-Belgrade-constituency collaboration. Alex Jeffrey, ‘The Political Geographies of Transitional Justice’, Transactions of the Institute of British Geographers New Series 36.3 (July, 2011): 344—59. Nick Meo, ‘Dutch Peacekeepers Remember Mladic, the General who Humiliated them’, The Telegraph, 5 June 2011. John Pickles, ‘New Cartographies’ and the Decolonization of European Geographies’, Area 37.4 (December, 2005): 355—64. ‘Ratko Mladić in Court: Srebrenica Widows Hope he “Burns in Hell”, The Telegraph, 9 June 2011. Adam Tanner, ‘Exclusive: On the Run, Mladić’s World Slowly Shrank’, Reuters, 2 June 2011. Bruno Waterfield, ‘Ratko Mladić at War Crimes Tribunal: Charges are “Obnoxious”, The Telegraph, 3 June 2011. This entry was posted in Area, Transactions of the Institute of British Geographers and tagged Bosnia, Bosnian War, Cultural Geography, Economic Geography, European Court of Human Rights, Global Issues, International Criminal Court, Political Geography, Radovan Karadzic, Ratko Mladic, Serbia, Slobodan Milosevic, Social Geography, Srebrenica, The Hague, Yugoslavia on June 10, 2011 by Benjamin Sacks.